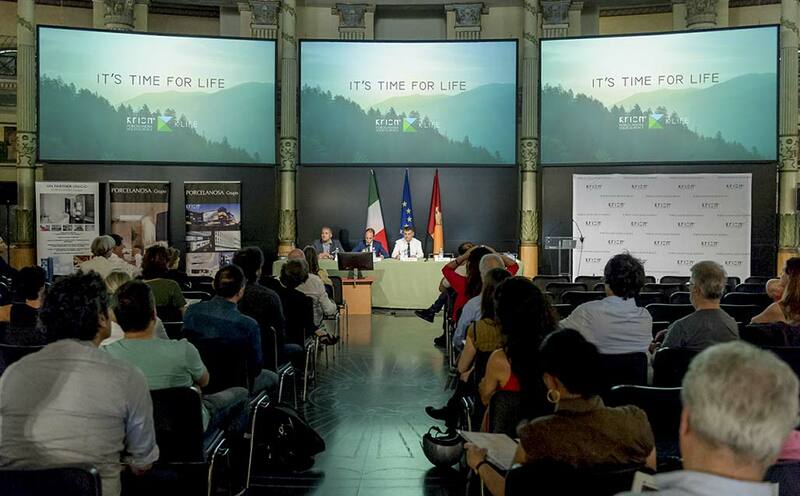 On the 6th of June at the old Rome Aquarium, PORCELANOSA Group presented the worldwide release of its new material K-LIFE. The new generation Solid Surface from PORCELANOSA, KRION® K-LIFE, was presented in an interactive experience in order to convey the message directly, contributing to improving our quality of life. At the first workday, K-LIFE was presented to the press and then to the general public. This travelling exhibition will make several stops in Italy (Milan, Sassuolo, Aosta, Pisa, Foligno, Frosinone, Bari, Catania, etc.) and will then travel around the world, to countries such as the United States, Mexico, the United Arab Emirates, the United Kingdom, etc. A long list of cities will be visited, where the new properties of the material will be demonstrated, explaining to attendees the manufacture ofK-LIFE with KRION ECO-ACTIVE SOLID TECHNOLOGY (KEAST), giving our material new properties which differentiate us from everything previously known in the world of Solid Surface. In addition to the properties of KRION®, there are the new characteristics provided by KEAST: air purification, anti-bacterial effect, elimination of chemical products and easy cleaning.